On Sunday October 30, there was a solemn Mass in the parish church of Lembecq-lez-Hal. Present among the congregation were 25 Brothers from Belgium North and South plus a good number of former pupils and people from the town. The liturgy was led by a fine choir and they finished by singing the well-known hymn to the Founder, Honneur a toi, in French, Aan u zij lof in Flemish. Work on the preparations for the return of the relics of St Jean-Baptiste de la Salle to Lembecq-lez-Hal were carried out over the past year by the former students, especially Emile Vannerom, Jef Devillé (deacon) and Hubert Peetroons (in charge of the church building), in conjunction with Brothers Jan de Cat and Alberto Gómez. We are all aware that as a result of the suppression of the Institute in France, our Generalate was located in Lembecq from 1904 to 1936. 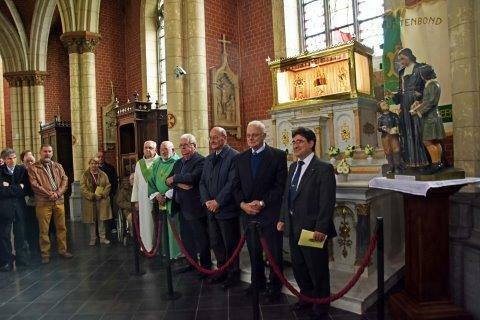 The altar on which the relics reposed during that time was subsequently moved to the house of formation in Groot-Bijgaarden, near Brussels. When that property was sold and demolished, the former pupils removed the valuable marble altar and obtained authorisation for it to be erected in a side chapel of the parish church in Lembecq in 2014. 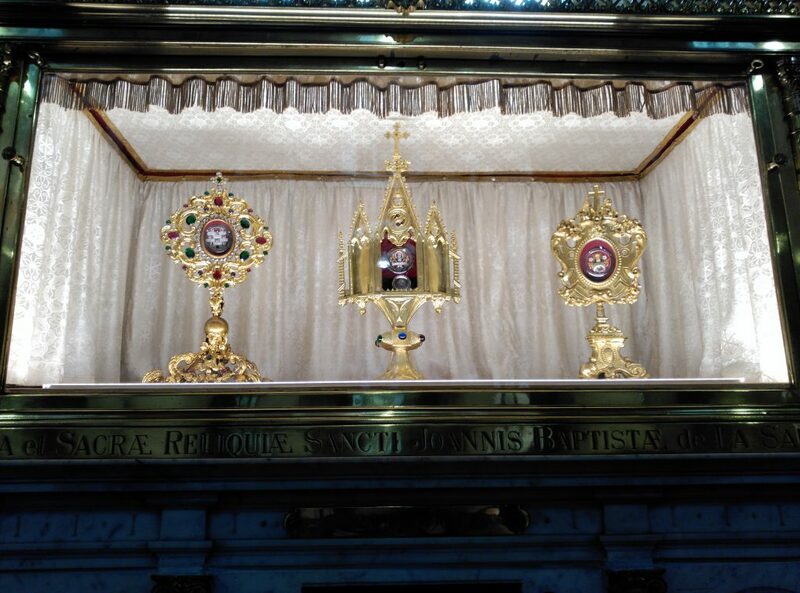 Only the relics were missing, and they arrived from Rome via Malonne, Equador and Spain. The former students also asked that, along with the relics of St Jean-Baptiste de La Salle, there should also be a display of the relics of Saint Mutien-Marie (born in Belgium), Saint Miguel Febres Cordero (born in Equador), and eight Spanish Brothers martyred during the civil war. All of the above had lived for some time in Lembecq. Next to the altar there is now a commemorative plaque which records that De La Salle is the Founder of the Institute and the universal patron of Christian educators. It also gives various dates relating to the Lasallian presence in Lembecq. After the Mass, the former pupils invited everybody to an aperitif. The Brothers were then invited to a fraternal meal in a restaurant in the nearby town of Halle. Brother Rodolfo Meoli, Postulator General, was present for this memorable celebration and delivered a message on behalf of the Institute.